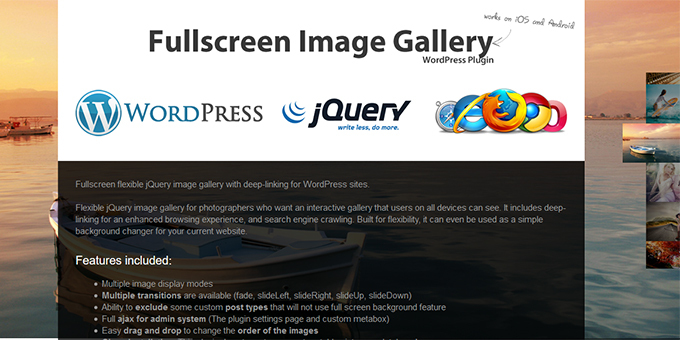 Fullscreen flexible jQuery image gallery with deep-linking for WordPress sites. Flexible jQuery image gallery for photographers who want an interactive gallery that users on all devices can see. It includes deep-linking for an enhanced browsing experience, and search engine crawling. Built for flexibility, it can even be used as a simple background changer for your current website. Clean installation . This plugin do not create any custom tables into your database!